Destination club Quintess has added four Q Leading Experiences options to its travel program. Most Experiences" are available at Preferred Rates for Quintess members. The Q Leading Experiences program offers more than 20 locations for members of Quintess to vacation outside the clubs home portfolio. The Experiences are developed in partnership with the Leading Hotels of the World. Quintess launched the program a little over a year ago, to provide more travel options to its members. For the Q Leading Experiences in Thaland and Bali, members can use their Quintess membership nights to reserve their vacations. The accommodations at each of these locations are 3 and 4 bedroom villas, so similar in size and scope to the Quintess homes. In the other locations, the accommodation is in one of the Leading Hotels of the World, and tends to be larger hotel rooms or suites. These are available on a preferred rate basis, which varies by time of year and location, and can range from $300 to over $1,500 per night. These rates represent 20% to 50% better values (than are publicly available)" said Todd Miller, VP Marketing at Quintess, and most of these special packages are not available to the public." Note that Quintess members already receive a Preferred Rate for stays at any Leading Hotel of the World. The Q Leading Experiences combine a stay at a hotel or villa with special experiences that are unique to the location and the time of year. Todd cited Cape Cod as an example where the summer experience is very different to the experience during the winter. Another example is Washington DC where the experience can include watching the fireworks from the roof of the Hay-Adams Hotel on July 4th. Members most popular experiences so far have been in Washington DC, The South Pacific locations of Bali and Bora Bora and Cape Cod. The four new Q Experiences are in Gstaad, Switerland, Marbella, Spain, New York and Tokyo. Quintess members had asked about Tokyo and Switzerland and so the club had developed these two in response to member requests. Several destination clubs offer these expanded travel programs beyond the clubs home portfolio. Its a good way for members to still travel with their club, while exploring further afield. 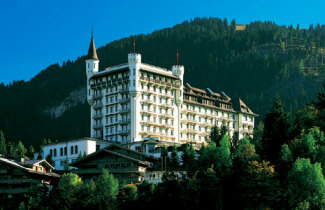 Exclusive Resorts recently announced their Once in a Lifetime" locations for trips in 2010. A&K Residence Club lets members trade in some of their membership time for travel and adventurous tours with their parent company Abercrombie and Kent.